As agents of the Temporal Continuity Bureau, Ace and the gang get their very first T.C.B. assignment! On their way to the Rostokian Deep-space Livestock Platform, they meat a being who aims to drive them into the sunset. The results are a high noon showdown that can't be missed! 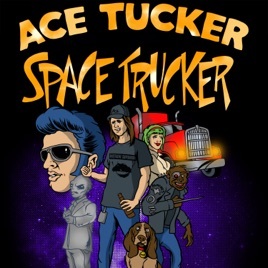 Support Ace Tucker and the gang on Patreon. For as little as $1 per month, you can help make the greatest science fiction comedy audio fiction podcast in the galaxy!